I was shocked by how much opposition and outright hatred has been directed against Pope Francis before and during his visit to the U.S. – hateful attacks from both the Left and the Right, because he does not fully line up with their agendas. The only people who embrace him are the ordinary people. Thank God the ordinary people are the majority!! Are you ordinary? 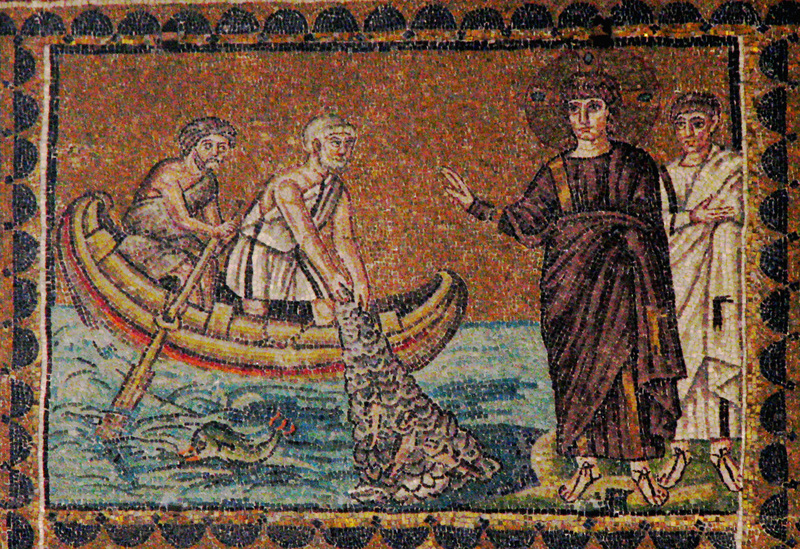 In today’s Gospel reading we see Jesus calling ordinary people, a few fishermen, to be his messengers to the world. These “fishers of men” were given no agenda other than love. Fishers of men – the fishermen who became extraordinary and yet remained ordinary to the end of their lives on earth. Ordinary people are the only people who can do God’s work. For 2,000 years the Church has looked to extraordinary people – emperors, monks, patriarchs, popes, theologians. It’s time for ordinary people to go fishing! This Pope is extraordinary by being so ordinary. This is the way God prefers. In his speech to Congress, Francis singled out four past citizens of this land: Abraham Lincoln, Martin Luther King, Dorothy Day and Thomas Merton…. Three men and one woman, four individuals and four dreams: Lincoln, liberty; Martin Luther King, equality and inclusion; Dorothy Day, social justice and the rights of persons; and Thomas Merton, the capacity for dialogue and openness to God. Categories: Sermons | Tags: call of disciples, fishers of men, Pope Francis | Permalink. A few years ago two important books were published: Debt, the First 5,000 Years, by David Graeber (2011, revised 2014); and Le Capital au XXI siècle (2013) by the French economist Thomas Piketty, quickly translated into English as Capital in the Twenty-First Century (2014) and many other languages. Piketty’s book became an immediate sensation and bestseller and is probably the most important and most-discussed book of the 21st century, so far. It’s a bit too technical for my small brain, so I prefer Graeber’s book, which you can buy locally at Bullmoose or online at Amazon or any of its international branches. The story stopped me in my tracks and I didn’t continue reading. It is a story that could very well have been a parable by Jesus. This is the kind of story that Jesus loved to tell – a story that turns the tables on all our expectations. Jesus was good at it, but reality is often stranger than fiction, and even Jesus rarely told a story so surprising as this one. This story strikes at the very heart of our thinking. We expect to be thanked! We expect people to feel indebted to us when we do something good for them. It’s part of our contemporary language: “You owe me.” We’ve all used that phrase at one time or another, or at least thought it. I know I have said it and thought it! What the missionary failed to understand is what we also fail to understand: It is the most blessed thing to help someone. When I do good – even when I do it grudgingly – I feel blessed, I feel better about myself and my purpose for living in this world. Saint John Chrysostom (lived 347-409) used to preach to his congregations in ancient Antioch and Constantinople that the poor man begging at the entrance of the church is a superior altar table than the one inside the church where the priest stands and offers the eucharistia! Imagine a priest today saying something like that in any of our churches. He would be reported to a bishop and told to never say something like that again. Of course I’m safe from such discipline here because I’m quoting a saint of the church. 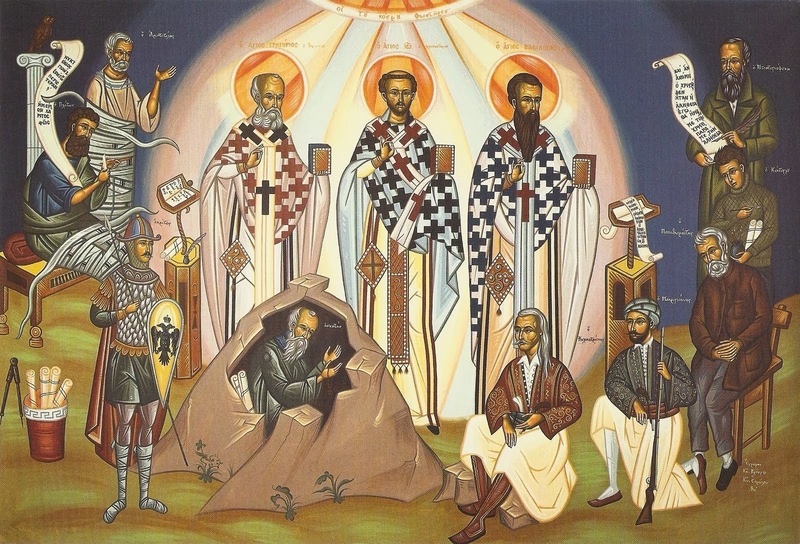 It seems that the only way you can challenge common perceptions in the church is to quote a rebel saint from the past, and Chrysostom was in many ways a rebel saint. He focused on precisely those same things that Pope Francis is most concerned about – poverty and the misuse of money – and we know how Francis has been attacked in certain quarters. But do you see what Chrysostom was trying to say? The very thing the missionary could not understand. When you help someone needy, you should thank that person rather than wait for that person to thank you! Helping a person in need is good in itself. But the degree of goodness is hugely affected by the attitude with which it is done. If you show resentment because you are helping the person out of a reluctant sense of duty, then the person may recieve your help but may feel awkward and embarrassed. This is because he will feel beholden to you. If,on the other hand, you help the person in a spirit of joy, then the help will be received joyfully. The person will feel neither demeaned nor humiliated by your help, but rather will feel glad to have caused you pleasure by receiving your help. And joy is the appropriate attitude with which to help others because acts of generosity are a source of blessing to the giver as well as the receiver. Both the giver and the receiver are blessed. In his rather shocking way, the man in the story was trying to teach the missionary something that is easily missed by most Christians. By reaching out to another person you are offering greater worship than anything you can offer inside a church! 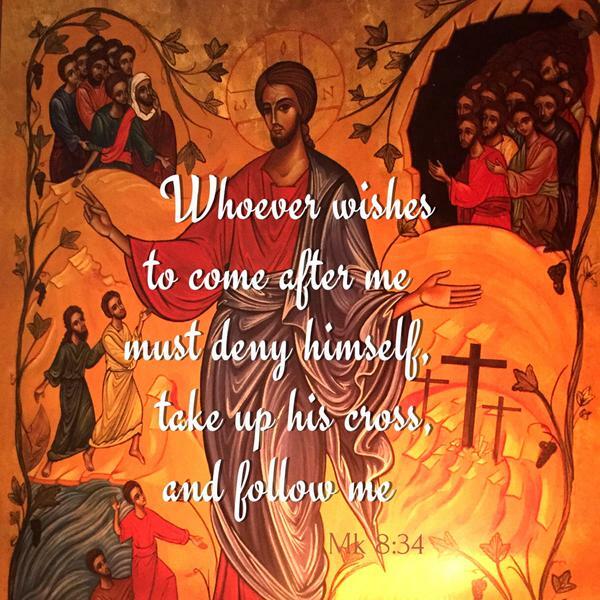 Again, not my opinion but that of Saint John Chrysostom, whose Liturgy we do on Sundays. The man in the story and Chrysostom did what Jesus loved to do: turn people’s thinking upside down. The last shall be first, Jesus loved to say. That goes against everything we usually think. We follow every story about celebrities, big-time successful people, and politicians. But they are not necessarily the ones God has his eyes on. No, it’s more likely the man who shocked the missionary rather than the missionary! Here are some words of Saint John Chrysostom to help you turn your own thinking upside down! 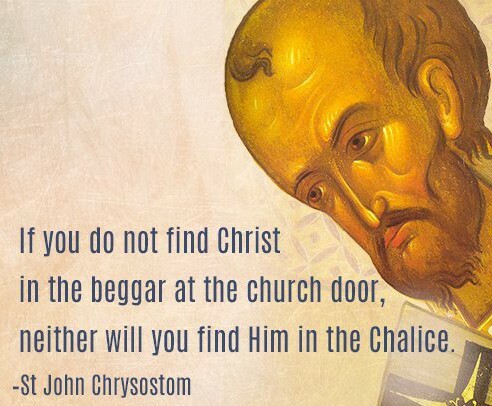 If you cannot find Christ in the beggar at the church door, you will not find Him in the chalice. Lift up and stretch out your hands, not to heaven but to the poor; for if you stretch out your hands to the poor, you have reached the summit of heaven. But if you lift up your hands in prayer without sharing with the poor, it is worth nothing … Every family should have a room where Christ is welcomed in the person of the hungry and thirsty stranger. The poor are a greater temple than the sanctuary; the poor are an altar that you can raise up anywhere, on any street, and offer the liturgy at any hour. Do not, therefore, adorn the church and ignore your afflicted brother, for he is the most precious temple of all. Would you honor the body of Christ? Do not despise his nakedness; do not honor him here in church clothed in silk vestments and then pass him by unclothed and frozen outside. He who said, “This is my body,” and made it so by his word, is the same that said, “You saw me hungry and you gave me no food. As you did it not to the least of these, you did it not to me.” Honor him then by sharing your property with the poor.. For what God needs is not golden chalices but golden souls. I am not saying you should not give golden altar vessels and so on, but I am insisting that nothing can take the place of almsgiving. The Lord will not refuse to accept the first kind of gift but he prefers the second, and quite naturally, because in the first case only the donor benefits, in the second case the poor gets the benefit. The gift of a chalice may be ostentatious; almsgiving is pure benevolence. What is the use of loading Christ’s table with gold cups while he himself is starving? Feed the hungry and then if you have any money left over, spend it on the altar table. Will you make a cup of gold and without a cup of water? What use is it to adorn the altar with cloth of gold hangings and deny Christ a coat for his back! What would that profit you? I am often reproached for continually attacking the rich. Yes, because the rich are continually attacking the poor. But those I attack are not the rich as such, only those who misuse their wealth. I point out constantly that those I accuse are not the rich but the rapacious. Wealth is one thing, covetousness another. Learn to distinguish. There are some even among our own people, a thing that makes one weep, who, far from helping or having compassion on these poor sick, will reproach them bitterly, insult them, make up empty, foolish speculations about them; and truly, out of the ground they mutter speeches, and voices are heard in the air; not in the ears that used to and understand holy teachings. And they have the audacity to go further, and to say: ‘their affliction is from God; and our good health comes from God. And who am I to undo the decree of God, and put myself forward as more kind than God? They are sick. Let them be sick! Let them be afflicted! Let them suffer misfortune! This is the will of God! Saint Gregory is one of the most highly regarded of all saints of the Orthodox Church, and is honored together with Chrysostom and St. Basil every year on January 30th. So highly is he regarded that he has been honored with the name “St. Gregory the Theologian”! Theologian because he plumbed the deepest truths about Christ and the Trinity. But theologian also because he saw Christ beyond theology! He saw Christ in the poor, just as Chrysostom did. 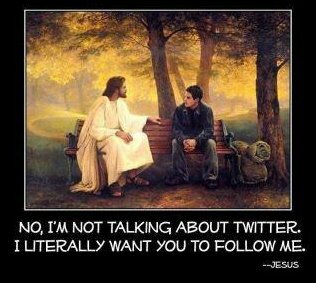 That is theology at its purest! 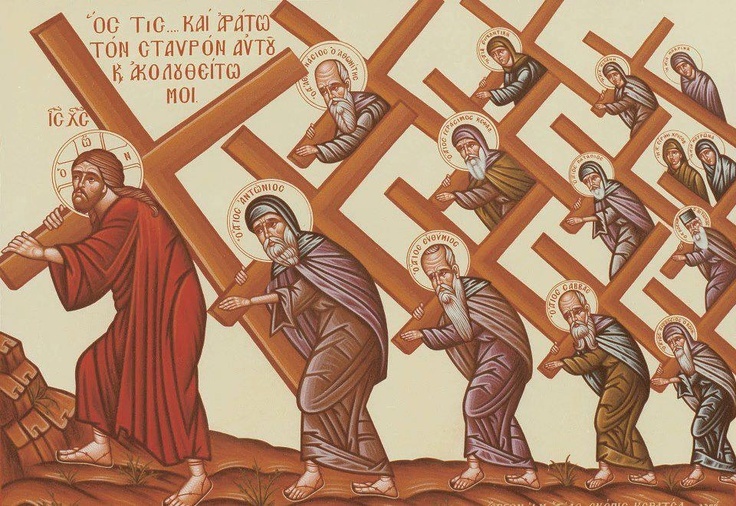 Categories: Biblical Explorations, Radical Christian Thoughts | Tags: altar of the poor, debt, Gregory of Nazianzus, John Chrysostom, the altar that honors Christ, wealth and Christianity | Permalink. 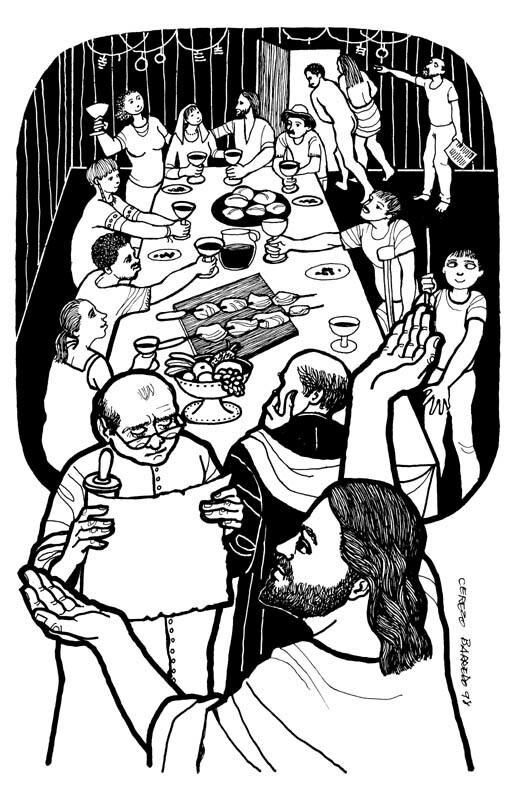 Our Gospel reading today (Matthew 22:2-14) is a very troubling parable – violent, condemning, exclusionary at the same time that it is inclusive. I usually focus on the inclusive aspects, but not today. In light of what’s going on in the world – the violence, the exclusion, the hatred and terrorism – it’s incumbent that I take this parable head on, in its full force, not only the part that suit my preferences. Note first of all the language in the original Greek: ὡμοιώθη ἡ βασιλεία τῶν οὐρανῶν ἀνθρώπῳ βασιλεῖ = The kingdom of heaven may be compared to a king… but the English translation is missing a word: the word human, highlighted in red in the Greek! None of the most used translations bother with that word – only two less commonly used translations, Lexham English Bible and Young’s Literal Translation bother taking account of it. It’s not a minor, insignificant omission. A contrast is implied between heavenly king and earthly king. It’s easy to miss this contrast if you don’t translate that word, and that’s not a minor problem. Continuing with the Greek text: ὅστις ἐποίησεν γάμους τῷ υἱῷ αὐτοῦ. καὶ ἀπέστειλεν τοὺς δούλους αὐτοῦ καλέσαι τοὺς κεκλημένους εἰς τοὺς γάμους. The word for wedding is not in the singular, γάμος, but in the plural, γάμους! There’s good reason for this, and easy to miss if the translation does not take into account the plural. (Young’s Literal Translation does.) The Jewish custom of marriage involved seven days of celebration! So what we translate as “wedding banquet” was not just a dinner but a wedding celebration that included the marriage ceremonies and several days of celebration! I believe that’s the reason why the plural γάμους is used. Perhaps now the refusal of the guests to attend might be a little more understandable? But some of the guests did not just refuse to attend, but killed the messengers of the king! And the king sent troops to destroy them and their city. Overreaction all around, wouldn’t you say? Not something that happens when guests refuse to show up. This is an extreme parable, meant to make us uncomfortable. We don’t like to be made uncomfortable. 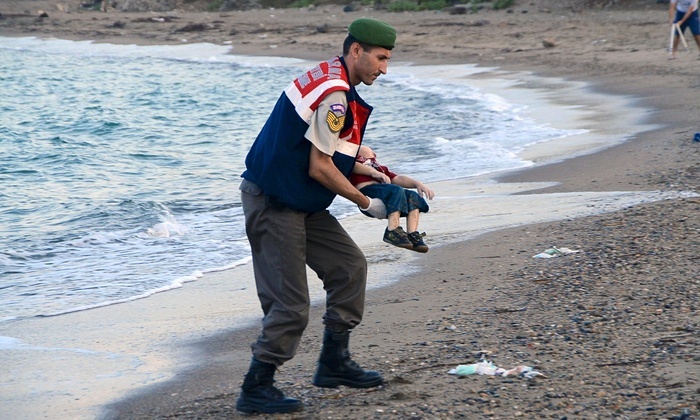 The media shielded most of us from the more “disturbing” photos of 3-year-old Aylan’s dead body this past week. We are very sensitive creatures, after all. But Jesus had no problem making people uncomfortable. 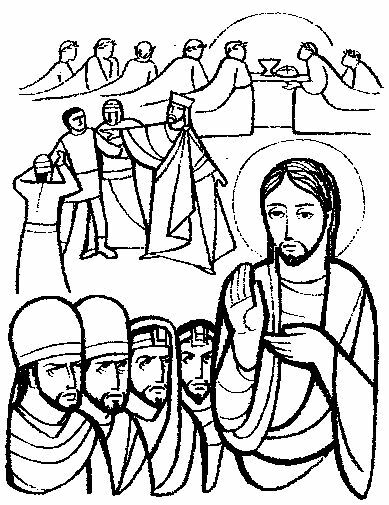 Right before today’s parable, at the end of last week’s parable reading, Matthew tells us that the priests and pharisees understood that Jesus was speaking about them. Jesus was speaking to them with every intention of disturbing them. Jesus is mixing metaphors here. 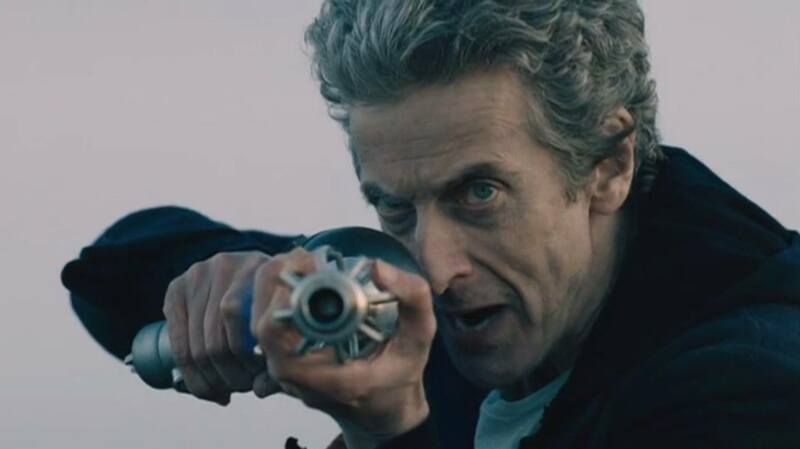 The violence is in the realm of the human king. The open invitation is the act of the heavenly king. The violence is extreme and unjustified – but violence in general is unjustified, in ancient or modern times! Is there really any acceptable excuse for what we see happening in Middle East or in any neighborhood in America? Can violence ever be justified? Especially violence committed in the name of religion? This entire section of Matthew (ch. 21-23) is controversial to the nth degree. Jesus entered Jerusalem and went straight to the Temple, where he violently drove out the sellers and money changers. A huge blow at the heart of the marriage between money and religion – a marriage that persists to this day. He then gets into a series of confrontational exchanges and parables. Jesus was at war with the habits of the powerful – he still is – so he uses images of power to get their attention. But just as he did not enter Jerusalem as one of the powerful, so in today’s parable he throws a switch that the powerful can’t relate to. 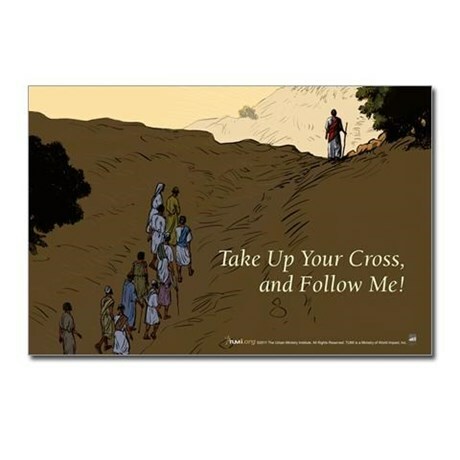 But regardless of what Jesus says, the religious and the powerful still believe they are the in crowd – even after they have refused the invitation to enjoy the kingdom of God instead of the kingdom of their own making. But they can’t bring their ways into the kingdom of God – the two kingdoms are incompatible. That’s why a man is thrown out at the end. He has sneaked into the banquet! He is not wearing a wedding garment. He is not wearing the garment Jesus has prepared for him! 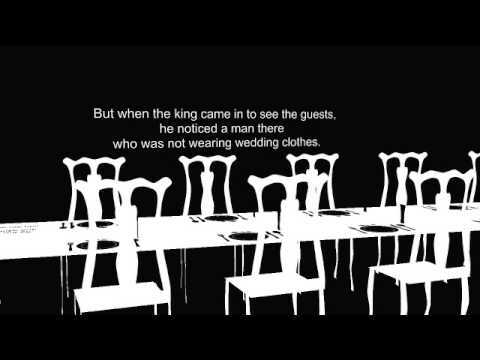 This parable has been interpreted as aimed at Israel and Jewish religion. Certainly it was aimed at the leaders of the Jewish nation, but we are misusing it if we limit its meaning to ancient Israel and the Jews. It is for all times and all places. Every religion, every nation, every individual stands under the same judgment. I personally do not like this parable the way it’s written. Whether Jesus himself spoke it exactly as Matthew reports it or whether Matthew did a major edit and rewrite we cannot know. Matthew clearly wants it to be taken as an attack on the Judaism of that time. We can see its broader significance. God’s salvation is always for the poor – not only the economically poor, but the “poor in spirit” (Matthew 5:3) – everyone who recognizes that without God we have nothing. Jesus became one of us so we could be clothed with him – we put on Christ (Romans 13:14, Galatians 3:27); it is no longer I who live but Christ lives in me (Galatians 2:20). That’s the meaning of the wedding garment; it is Christ’s garment of righteousness. Categories: Biblical Explorations, Sermons | Tags: 14th Sunday of Matthew, Aylan Khurdi, biblical violence, Jewish marriage customs, kingdom of God, parables of Jesus, religious violence | Permalink. It’s beautiful, and doesn’t it make you want to speak to God like this? This is not the kind of petty prayers so many of us still pray well into adult and late adult years – prayers to the “man upstairs,” the big vending machine in the sky! No, no, this is “deep” calling to “deep, at the thunder” of God’s “cataracts.” This prayer is fully aware that God is not the “man upstairs” of American vending-machine religion. This is a God whose “waves and billows” have overwhelmed the man who is praying this psalm. And yet, this awesome God of cataracts and thunder and waves, is a God who comforts the psalmist at night with his love and song. “Where indeed is your god? Why is he not rescuing you?” The question lingers thousands of years after the psalm was composed. Where was God when 3-year-old Aylan Khurdi drowned with his 5-year-old brother, Galip, and their mother, Rehan, while trying to cross the sea from Turkey to the Greek island Kos? 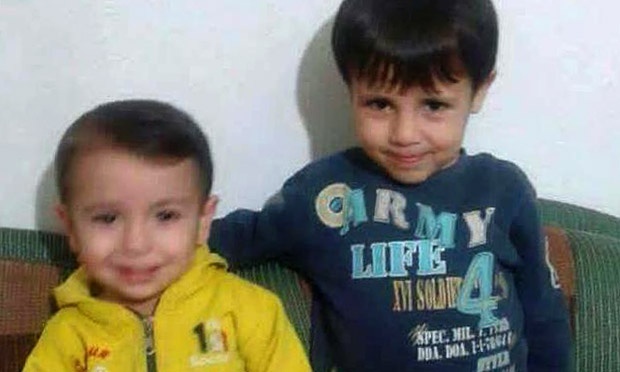 Aylan and his older brother Galip in a happier moment. 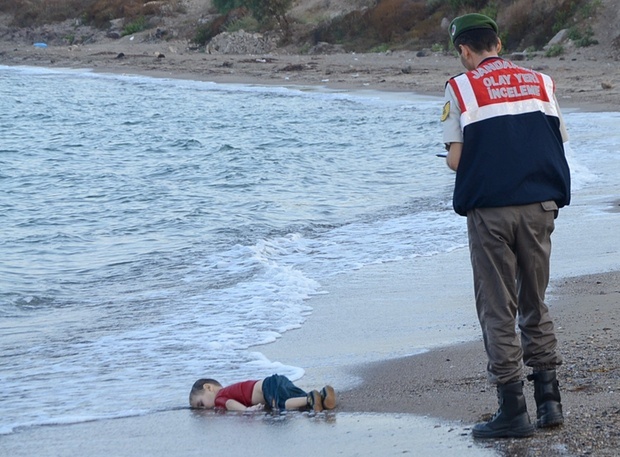 The body of Aylan washed up on the shore of Turkey’s Bodrun Peninsula. Pictures of the lifeless body created immediate controversy. Many newspapers, TV networks and websites refused to show the pictures because of concern not to disturb readers and viewers. Yes, let’s not offend the dainty sensibilities of European and American viewers. I would understand if the concern was about sensationalizing or cheapening the image of a dead child. But no, the concern is always about offending or disturbing viewers; not about exploiting the dead! We have no problem exploiting the dead; we have no problem blowing up hundreds every day with drones and cluster bombs. We have no problem with death or causing death; we just don’t want to offend anyone. And that’s where the modern mockery lies. The lifeless body of Aylan washed ashore. Many media outlets refused to show this photo so as not to offend or disturb viewers. Aylan’s body carefully and reverently carried away by Turkish solder. “Where is your god,” indeed? Unlike the psalmist I do not look for miraculous interventions by God. The god who works miracles to save people and prevent disasters and wars is not my God. That kind of god does not exist. The God I believe in is right there in that lifeless child and in the soldier who undertakes the sad task of carrying the lifeless body away from the water. That soldier is like Joseph of Arimathea, who carried the lifeless body of Jesus down from the Cross. The images above are indeed images of Christ. Christ is that child, the same Christ who surrendered his own body to the care of humans: Joseph of Arimathea and a Turkish soldier. There was no rescue. Perhaps some people might find my statements here contrary to certain things we believe. There was a resurrection, after all – at least in the case of Jesus. Yes there was – and there is (or will be). But the resurrection is a different matter altogether and does not change the truth of these images. I love the poetry of Psalm 42, but I don’t share the psalmist’s hopes for rescue. It seems quite clear that God has left the job of rescuing to us, his alleged followers or believers. How well are we doing in that regard? Or is too offensive and disturbing to ask this question? We are after all, very sensitive people and we prefer no one to question our faith. It’s a private thing after all. Good luck with that line when you meet God. In chapter 2 of the Book of Job, the wife of Job could not take all the physical suffering inflicted upon her husband. She said to Job, “Do you still persist in your integrity? Curse God, and die.” It’s interesting that the Hebrew word translated as “curse” in our English Bibles could also be translated as “bless”! It should be interesting to study how a single Hebrew verb can mean both “curse” and “bless” – but clearly in this instance, Job’s wife was inciting Job to turn his back on God, since God obviously was doing nothing to rescue Job. She was, in essence, asking the age-old question, “Where is your god?” The Book of Job, of course, goes on for another 40 chapters after these words of Job’s wife, so we’ll leave that book alone for now. Categories: Biblical Explorations, Global Visions | Tags: Aylan Khurdi, Psalm 42, Syrian refugees | Permalink.